From offices to receptions, our Staple Remover is a handy resource to have in your stationery cupboard. Designed for those moments where you've rushed to finish a project and accidentally stapled the wrong paperwork together, it has an easy-to-use design to fix this issue. The traditional 'pinch' design clamps around the closed stapler and gently helps to unpick the compressed design. Manufactured from a durable metal, it has a safety catch which keeps it closed when not in use - ideal for nurseries or environments with vulnerable patients. 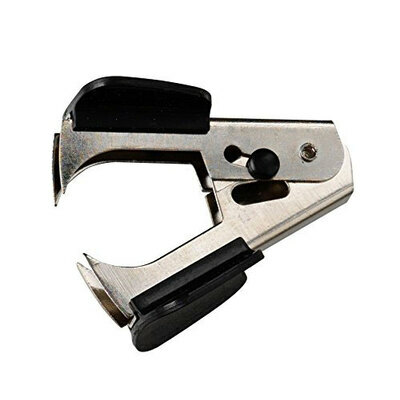 For quick and easy service, this staple remover promises to do the job every time. Our range of Stationery Supplies includes everything from handy Batteries through to Pens & Pencils and Storage Boxes - all offers exceptional value and high-quality service.